Posting photos on a social media app such as Instagram sounds relatively easy, however there are some mistakes that hoteliers make that should be avoided. By pointing out these mistakes, one should be able to craft a nice Instagram profile with photos that doesn’t come off as too self-promoting with a bunch of advertisements. Instagram is a relatively simple app that allows us to scroll through images on our newsfeed posted by people we are following. However there is a limit to how often you should post within a certain time limit. If you are posting too often, this can actually annoy your followers because they want to see content by their other followers as well. This can result in a loss of followers and less likes for each photo. The same goes for if you’re not active enough on Instagram. If you only post one photo every couple of weeks your followers might think you’re not that active and eventually forget about you. The key to being successful here is consistency. It’s a good idea to take a look at your competitors and see how often they are posting on Instagram and follow a schedule similar to that. With such a heavy emphasis on the visuals, this one should be a no brainer. Photos that are posted onto your account is what essentially makes up your profile, and what your audience will be looking at. Since Instagram is done mainly on the mobile phone, the photo quality won’t be as great as if the photo was taken with a professional camera. Nonetheless, you can still produce great photos to upload. As a hotelier, taking multiple shots of a nice looking area within your property goes a long way. That way, you have options to choose from instead of having only one picture to work with. While Instagram does offer their own filters, I personally like using other third party apps to filter the photos to make them nicer. I personally enjoy using VSCO Cam and Afterlight to filter my photos. 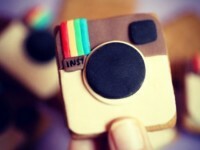 Here is a list by Macworld of apps that will help you give your Instagram photos a more professional and cleaner look. Instagram is a Social App, so remember to engage with your followers! Now that you know about the basics of posting quality photos for your audience to enjoy without overwhelming or underwhelming them, it’s important to remember the importance of engagement. Instagram is a social media app after all, so actively engaging with your followers will help you grow your Instagram account. If someone leaves you a comment on your photos, always respond to them. If people post photos of when they were on your property, then definitely take the time to look at those photos to like and comment when necessary. Engagement is important and this will help build your brand and profile on Instagram. Hashtags are a great way to gain exposure for your Instagram posts because it allows other people find content relevant to the keywords they are using. Be sure to keep your hashtags relevant to the your post. Like for example a post showing the pool of your hotel should not have irrelevant hashtags such as #ootd, #fashion, etc. Remember to not overload your post with too many hashtags because that looks desperate and can result in less likes for your post. Hashtags are a great way to gain more exposure, but just don’t over do it or it could backfire on you. Overall Instagram creates a fun and unique way to share your visual content with the world. When you are building your Instagram profile, remember these mistakes and how you can fix them so that you can be successful in the Insta-world.